A marriage contract is a legally-binding document between two people. The people involved can be either about to be married or may already be married to each other. If you sign a document of this type before the wedding, it will take effect the day of the wedding. In the case of people who are already married, it will take effect immediately. The contract contains a set of promises the couple makes to each other. Both parties to the contract should get separate legal advice before signing it. This is good advice in the event that a person is going to enter into any type of contract, not just one with his or her spouse. The lawyers involved will make sure that each party to the contract understands the terms and conditions contained in the document. If necessary, they will arrange for the signing of the contract to be witnessed. Generally speaking, a marriage contract deals with financial issues, namely how assets will be divided in the event of a divorce. It may also include provisions for how property will be managed during the marriage. With people tending to get married after they have finished school and started a career, the chances of them having accumulated some assets beforehand is greater. The couple may want the agreement to specify that each person will retain ownership of any property he or she brought into the marriage. Another provision might specify that in the event of the marriage breaking down, one spouse has the right to stay in the family home (at least for a certain period of time) and will receive a certain percentage of the family assets. The contract may also specify that the lower-earning spouse will be entitled to financial support of a specific amount each month. It is important that whatever agreement spouses enter into be fair. The reason why people sign marriage contracts in the first place is so that they can avoid a long period of litigation if their marriage breaks down. If the agreement is not fair to both parties (or even if one party feels that it is unfair), he or she can take the matter to court and ask a judge to set aside the marriage contract. Who Needs a Marriage Contract? 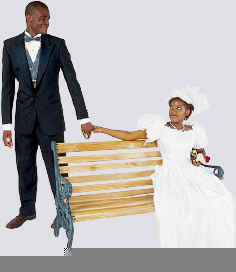 People entering second marriages or those with children are more likely to take the step of having a marriage contract. They may have assets that they would like to see pass to their children intact. If no such contract is signed, the other spouse may well be able to make a claim for a financial interest in a real estate holdings, investments, etc. At a later date, the spouses can opt to make changes to their original agreement. This would need to be in writing and once again, each person would do well to seek out independent legal advice before signing anything. A ketubah is a different form of marriage contract. Under the provisions of the Jewish faith, it is forbidden for couples to cohabit without one. The ketubah is a document that sets out the basic moral, financial, and conjugal responsibilities that a husband has toward his wife. It is designed to protect the rights of the woman during her marriage and in the event that she is widowed or divorced at some point in time. The document, which is written in the ancient language of Aramic, is signed by the groom in front of two witnesses and given to the bride as part of the wedding ceremony.